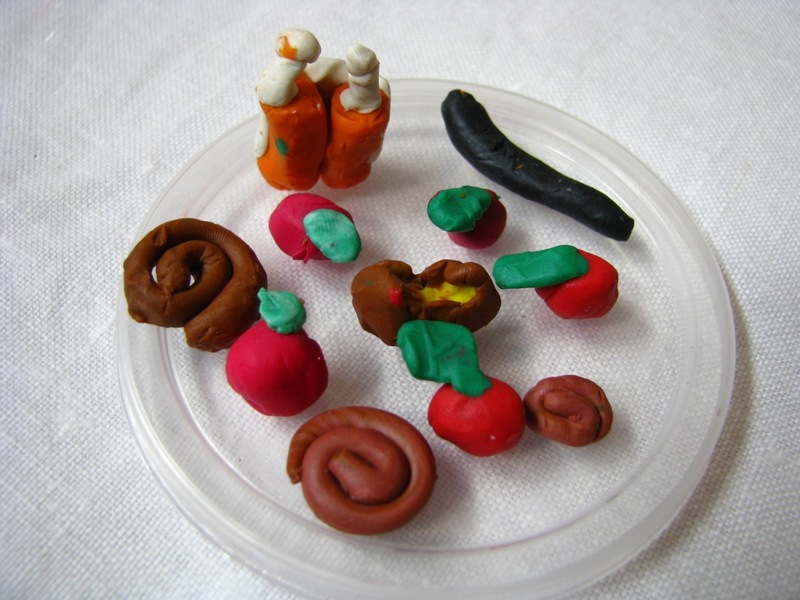 My daughter, now aged 6, is really enjoying creating little items out of plasticine. 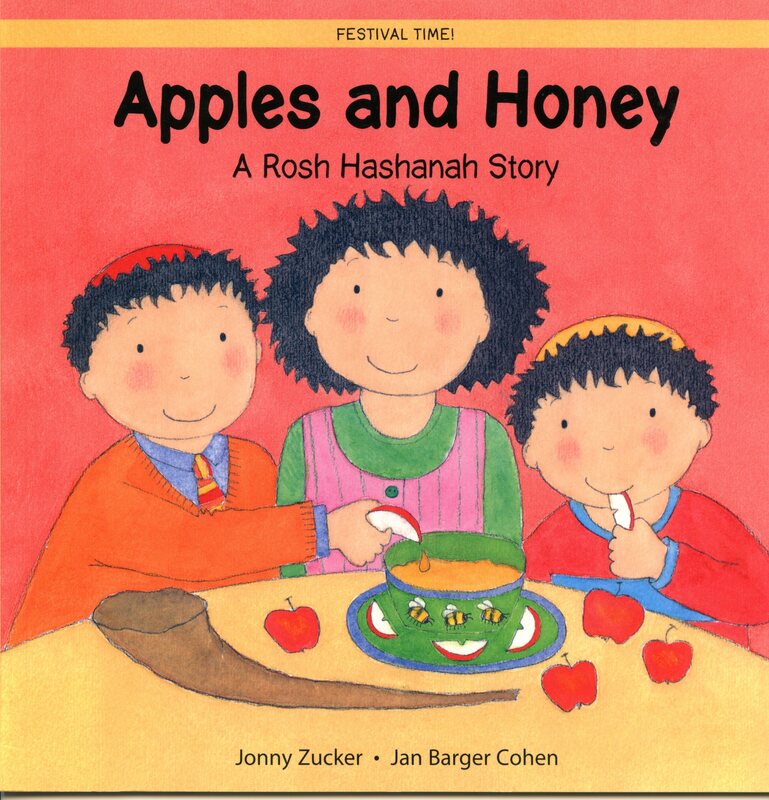 This is her recent Rosh Hashanah still life, comprising apples, a pot of honey, three round challot, a black shofar and and orange and white Torah. 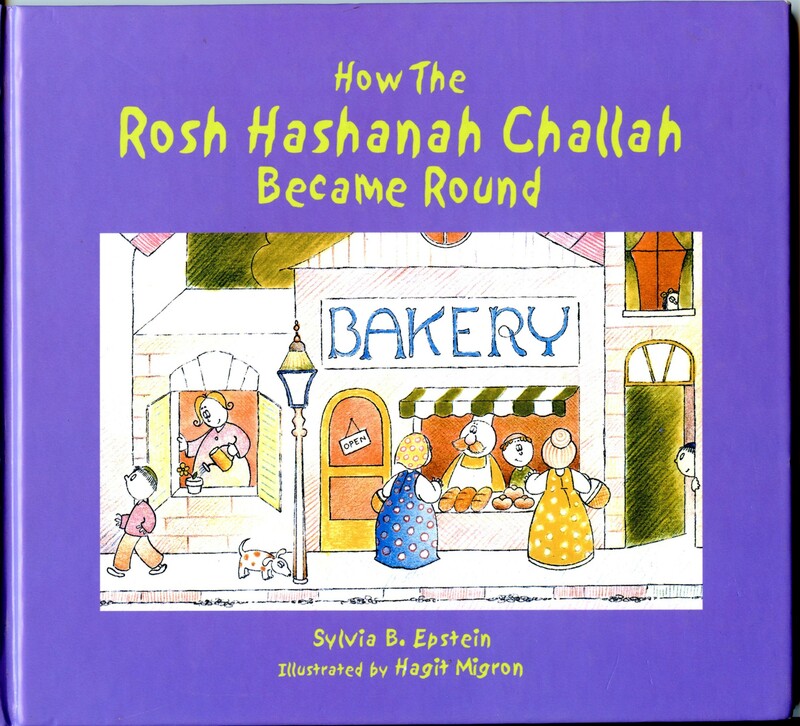 She had so much fun, she then produced a hamantaschen, a very wonky sukkah with table and chair and a lulav and etrog, among other things! 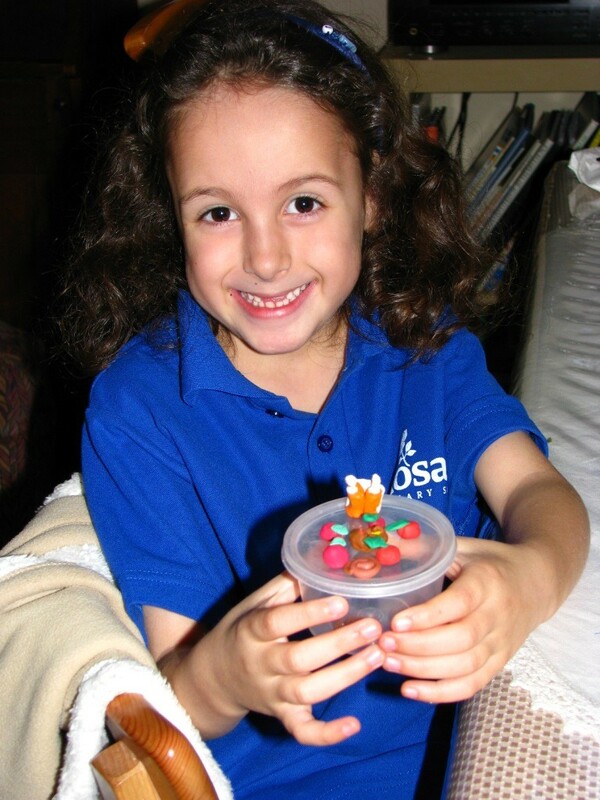 I was very proud of her efforts and finished products, which were 100% her own work. My only input was encouragement and supply of the storage container. 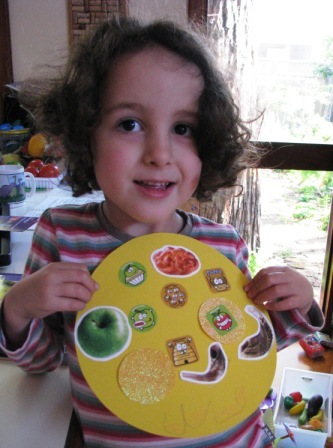 Plasticine is really easy for little fingers to work with, comes in a range of colours and stays soft indefinitely. It’s great! My wonderful husband is blessed with the annually useful talent of being able to make a great sound with a shofar. 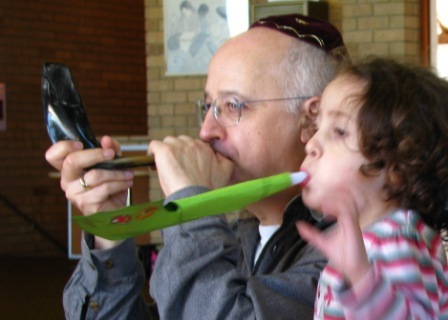 (In fact he can actually play recognisable tunes on a shofar, which is pretty impressive – too bad there is no need for this in a religious context! I keep telling him he should take up trumpet.) He was giving a shofar demonstration for a group of kids, most of whom were under 3 and not good at sitting still. So we made it into an action game for them. When he blew Tekiah, they took a big step forward. When he blew Shevarim, they took three smaller steps forward. When he blew Teruah, they did a bunch of steps on the spot. And when he finally blew Tekiah Gedolah, they ran all the way to end of the hall and back again. Fuse beads (hama beads, perler beads, whatever you want to call them) are awesome! We found a new source of beads, including brown ones (how did we ever manage without brown?) and have been trying out some new ideas. So, what can you do with fuse beads, other than vacuum them out of the carpet? 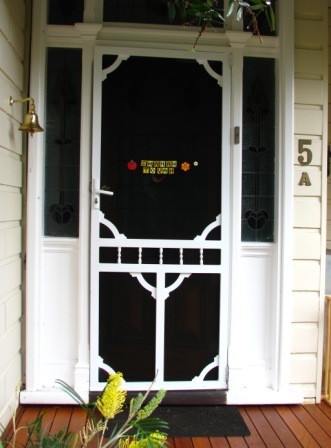 I made these Rosh Hashanah decorations for our front screen door and they are a little kitschy but I’m pretty happy with them. 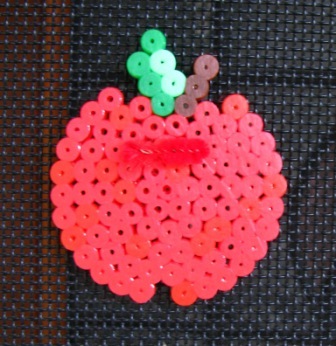 The apple was made on a round pegboard. The thing that looks like a furry red caterpillar is the pipecleaner (chenille stem) I used to attach it to the screen. I didn’t realise we had two not-quite-identical shades of red until I took this photo, the joys of mixing up two sets of beads from different manufacturers! 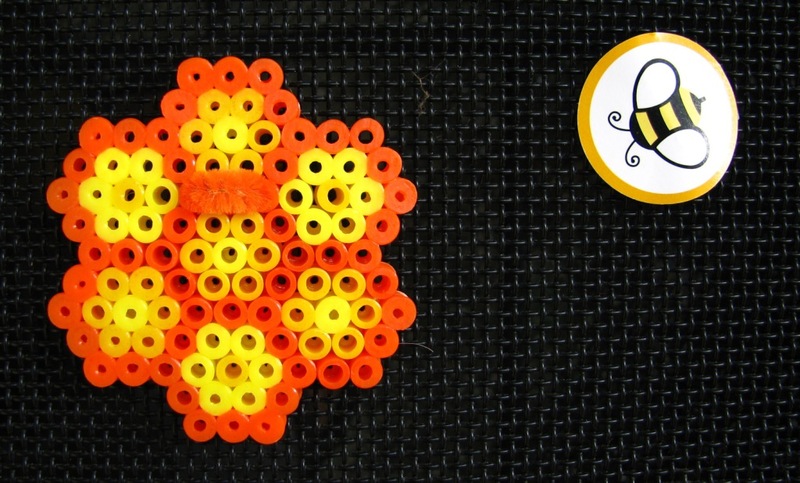 The honeycomb was made on the central part of a six-pointed star (magen david) pegboard. 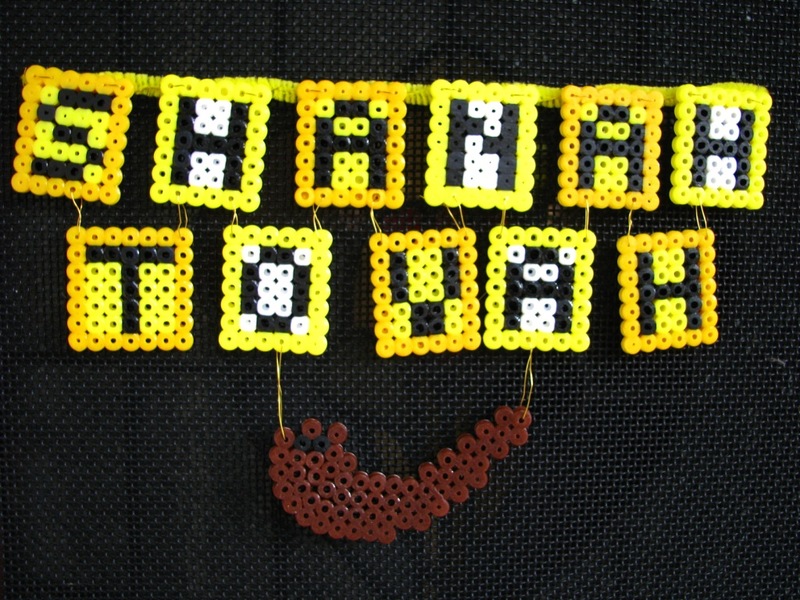 I made the text on a square pegboard, and the shofar down one side of a heart-shaped pegboard. They are strung together with jewellery wire, and then onto a pipe cleaner. PS If you like this, you might also like my fuse bead dreidels and shabbat designs. A couple of years ago my husband had his first opportunity to blow a shofar, and it turns out he is a natural. He can even play a tune on one of those things! 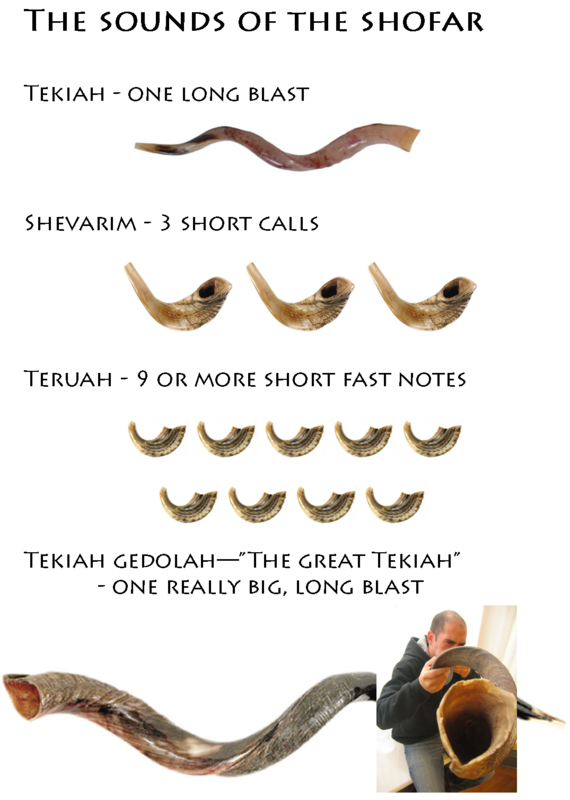 When he blows, the shofar sounds amazing. I, on the other hand, can barely make it sound like someone blowing a raspberry, or worse. 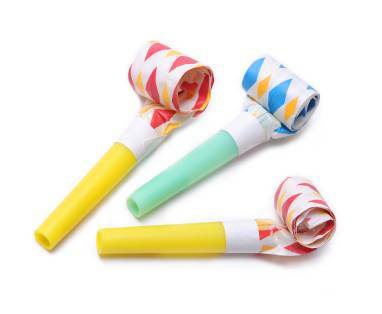 This year we decided that those of us not blessed with natural ram’s horn blowing talents should still be allowed to make a loud noise, and these shofarim are the way to do it. 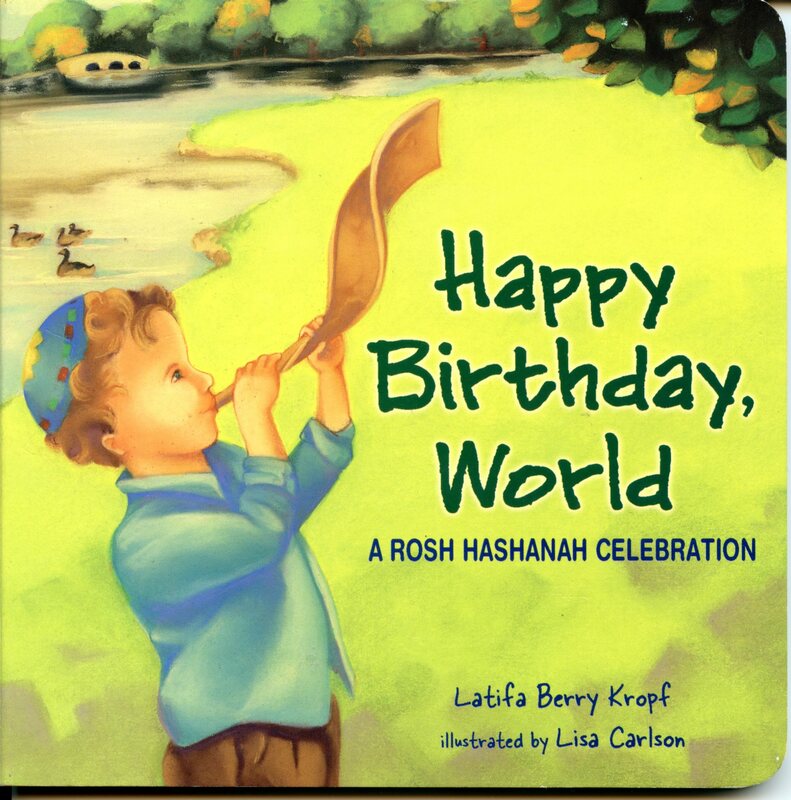 This is a great craft activity for kids to do before Rosh Hashanah and Yom Kippur. 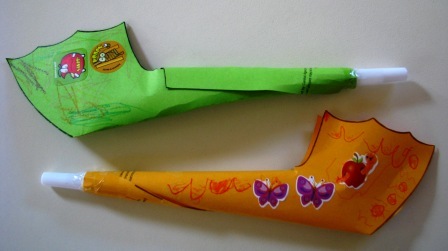 Cut out the shofar and decorate with textas or stickers. Stick together with double sided tape (as per the instructions printed on the .pdf), and roll the handle to fit around the hooter. Secure with sticky tape. That’s it! Then put in your ear plugs and let everyone else go blow their horn. 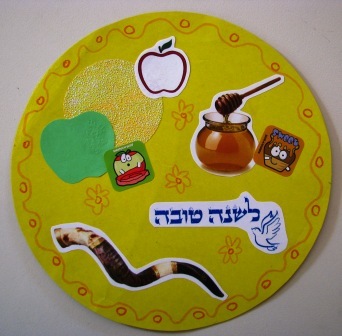 Collage is always fun for young children, and it’s easy to incorporate the key elements of Rosh Hashanah – apples, honey, shofar, round challah and “L’Shanah Tovah”. – cardboard – I used a plate to trace circles on some old cardboard folders I was recycling. Cut out your pictures and glue them on, then add some decoration (if you want to) and hey presto, a colourful new year decoration for your fridge or wall. Last year I used the same pictures and we made cards to give to grandparents.